Along with Professors Ben Shneiderman (Computer Science/Human Computer Interaction Lab) and Derek Hansen (College of Information Studies) from the University of Maryland I am writing and editing a book about analyzing the social media networks that form whenever people link or reply to one another, favorite, rate, read, or edit data about other people or their objects. Social media networks can be analyzed using the methods of social network analysis, the mathematical application of graph and network theory to the social sciences. Using social network analysis collections of connections can be analyzed and compared to identify key people and groups and measure changes over time and following interventions. 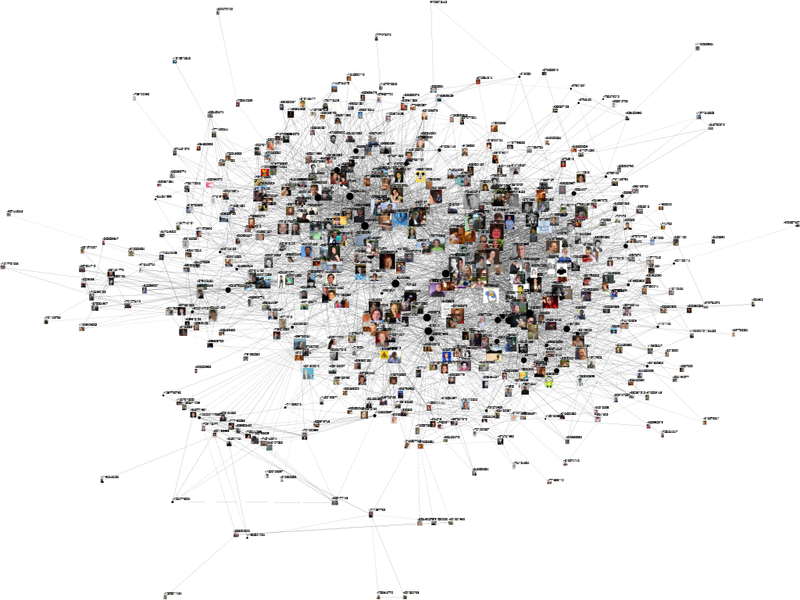 I am pleased to announce that we have signed with Elsevier/ Morgan Kaufmann to produce a book: Analyzing Social Media Networks with NodeXL: Insights from a Connected World for a Summer 2010 delivery! A map of the relationships among the population of people who all tweet a particular keyword can lead to the discovery of the key hubs and influential people in the network. A social network analysis of reply patterns in email collections displays clusters around projects and highlights key people and relationships. Visualizing the connections among your friends in Facebook can reveal the various life stages and communities in which you have participated. When you chart the links between videos and users in YouTube content with interesting network properties is exposed based on well connected content creators and influential commentators. A graph of the individual connections between flickr users illustrates the emergent formation of groups around social networks, locations, and topics. These kinds of social media network data collection, scrubbing, analysis, and display tasks have historically required a remarkable collection of tools and skills. A great example of the variety of tools that can be used in concert to extract, analyze and display social media networks can be found on Drew Conway’s blog. This is a powerful set of tools for those who can master the demands of python and API interfaces. In contrast, the approach the NodeXL project has taken is to provide an end-user GUI application environment built within the framework of Excel 2007 for performing basic social media network analysis and visualization for non-programmers. The python path is certainly the high road for experts and those with demanding volumes or esoteric data requirements. But for the non-coding user, NodeXL may be one of the easiest ways to both manipulate network graphs and get graphs from a variety of social media sources. There are already some materials available to guide new users interested in learning about NodeXL, social networks, and social media. A video tutorial for NodeXL demonstrates the extraction of the network of people in twitter who mentioned the term “digg”. A tutorial guide to NodeXL offers a step by step guide to features in the NodeXL toolkit (with supporting data sets). But the book will capture the theory, history, domain and process of social media network analysis in a single volume. The volume contains a broad introduction to social media, social networks and the operation of the NodeXL application and then features a series of chapters from leading researchers that focus on a particular social media system (email, Facebook, Twitter, YouTube, flickr, Wikis, the WWW hyperlink network) and the networks each contains (replies, friends, follows, subscribes, comments, favorites, edits, links, etc). A final chapter outlines a programmer’s view of the NodeXL code, in contrast to the code-free approach of the remainder of the book. Our intended audience is the mostly non-programming population that is interested in social media and the techniques of social network analysis. The volume is largely in the form of a how-to guide that readers can follow and replicate all examples. Using your own free and open copy of NodeXL, you will be able to use sample data sets or create similar live queries that map relationships in social media systems. We have an ambitious production schedule so the book may be on a book store shelf or online retailer search result in summer 2010.